Looking for airline specials and deals can be overwhelming with so many different companies offering airline discounts and special fares and all the various stipulations that are attached to the deals. To help cut to the chase, we have put together a list of tips, travel industry secrets and other suggestions of things that you can do to find airline deals that will decrease the cost of your airfare. When it comes to getting good deals on airline tickets, staying flexible is the key. However, emergencies happen, and you may need to get somewhere as soon as possible. While you may not have the luxury of being flexible on the day that you fly, you can usually find extra savings by booking your flight at the least popular times to travel. Look for a red-eye that either is scheduled to take off before dawn or is the last flight going out. It can also pay to book the flight with the worst flight plan. Look for the flights with multiple stops, or those that require that you change planes at some point. Also, any flight that has an excessively long layover, especially if the airport is located in a small city where vending machines will be your best hope for finding refreshment. Before beginning the search for the cheapest airline ticket, you need to decide on which options you are willing to pay for and which options you can do without. 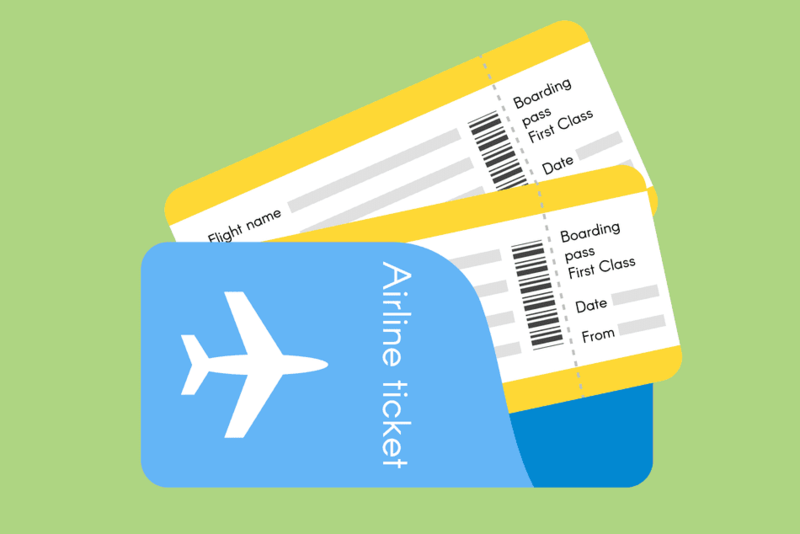 Buying an airline ticket used to be relatively straightforward, but travelers today have multiple packages from which to choose so that making decisions can quickly become confusing and costly. How many bags will you bring? Do you need to check bags? How many? Is there room for a carry-on? Being hit with hefty baggage fees can quickly decrease the savings you thought you were getting by focusing just on the price of the ticket. By knowing in advance that you will need to check one or more bags, you can search for packages that offer free or discounted baggage check fees. How likely are you to change your plans? If your plans are subject to change, you could benefit from finding the best price on tickets that do not have a fee for changing tickets. Do you need in-flight Wi-Fi? Not all flights have in-flight Wi-Fi. If it is important for you to be able to get online during your flight, you will want to include this in your search options before you buy your ticket. How important is an advance seat assignment? If sitting in a middle seat would ruin your trip, then you will want to stick with the airlines that offer advance seat assignments or inquire if there is a loyalty program you can join where advance seat assignment is one of the perks for members. You can also check your credit cards for an advanced seat assignment option. Do you care if you get a meal? If you do not care about eating during your flight, you might find cheaper tickets on flights that do not have in-flight meals. If eating is important, you will want to include it as an option when you begin searching for your ticket. Are you trying to build up your frequent flier points? If you want to build up your frequent flier points, stick with the airlines where you are a member of their loyalty program. The most affordable time to fly depends on where you are going. Certain destinations are off-season during what is traditionally the busiest times to fly. For example, summer is the most expensive time to travel unless you are going to a place where the weather is uncomfortable or where summers are more prone to tropical storms. To ensure that you are getting the best bang for your buck, take a look at the cost of going when it is offseason. For short trips, weekend travel and when looking for last-minute deals, the summer, specifically from Memorial Day to Labor Day, will feature the highest fares. The winter holidays of Thanksgiving, Christmas and New Years are the second busiest times to travel, but you can still find decent prices if you pick the right days to fly. If your goal is to visit your family on Thanksgiving, then booking your flight on the last flight out on Saturday before Thanksgiving, and then returning in the evening hours on Thanksgiving, could save you money. Flying back on Christmas Day or the day after will likely cost you less than flying back two days after Christmas. Other than during the summer months, the busiest and most expensive days to fly relate to business travel. Those who are traveling for business head out of town mid-Sunday and on Monday and return home on mid-Thursday and Friday. Many times the flights are booked on these days at premium prices. On Tuesday, Wednesday and Saturday things slow down considerably. Prices start to drop on Mondays for the flights scheduled on the following days of the week. If you are in a position to chance of having the flights sell out before you make a reservation, hold out until Tuesday afternoon. Tuesday is when the airlines readjust prices to match the competition, and it is one of the very best times to get the lowest fares. However, during the summer the opposite is true, especially around the holidays when three-day weekend travel explodes. To avoid paying top prices, avoid booking flights on Friday through Sunday. Generally speaking, if you want the cheapest tickets, book your flight during the off-season months and non-holiday weekends, and choose the days that are the least popular like Tuesday, Wednesday and Thursday. Then select the least popular times to travel which is usually the first flight out in the morning and the latest flight out in the evening. Another way to make sure that you are getting the very best deals is by utilizing apps that are designed to find the best airfare prices. Not only will you be able to compare prices quickly, but the apps will also help you stay up to date on any airport delays, gate information, airport maps, and more. Here are five popular apps to check out. While best fare apps and price comparison sites are fantastic at helping to score cheap airline tickets, the truly frugal travelers will also check out the individual airlines. Some of the budget airlines block their ticket prices from some of the most popular price comparison sites, so it can be worth it to research the fares on the airline's websites. Frequent travelers will also benefit from signing up to receive the airline newsletters and by visiting their Facebook and Twitter pages. Which Stores Have Back-to-School Layaway Programs? Is the Unclaimed Baggage Center a Bargain or a Bust?